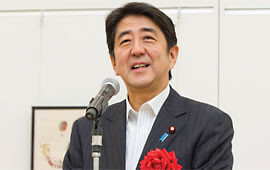 On July 28th, Opening Ceremony was held at The National Art Center, Tokyo and about 150 people and guests took part. 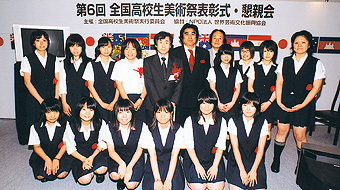 Kenya Yoshida and Nonoka Tateyama took part in this ceremony, representing all the high school students. 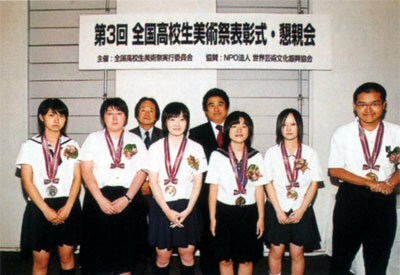 Kenya Yoshida had a great achievement of receiving the Minister of Education, Culture, Sports, Science and Technology Award and Nonoka Tateyama, the Chairman's Prize. Furthermore, 3 other students from their school received Special Recommendation. In fact, Aomori Toyama High School will close at the end of this year, and the challenge to this Art Festival was the last chance for the school's art club. Because works submitted to the High School Art Festival is judged purely by the works, the name of the school does not affect in the judgment. Even so, the fact that this high school was able to win many awards proves that the students' strong feelings were enclosed in their works. 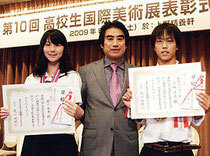 When this story was told during the opening ceremony, there was warm applause from the people present to the 2 students. The Honorary Chairman, Shizuka Kamei, who has served as ministers of various departments, also came to the ceremony. Mr. Kamei draws oil paintings himself. He encouraged everyone by saying "Art if something that should be cultivated from an early age. Otherwise the talent will just get buried. I expect that people that can lead the art world in Japan will emerge from this Art Festival." 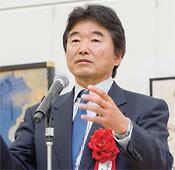 Member of the House of Representatives, Hakubun Shimomura, took part as well and said "Students'potential and talents are being unfolded by aiming to take part in this Art Festival and creating works that are full of originality. 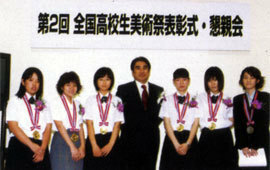 It is a wonderful event that gives a dream to high school students." The present Minister of Education, Culture, Sports, Science and Technology. The former Minister of Education and IFAC's special advisor Kunio Hatoyama said "I am so surprised to see that all of the works are so wonderful. They may even be better than the works exhibited at the The State Hermitage Museum Collections which is being held now in this same National Art Center, Tokyo." His words should be a great encouragement for the high school students. The curator of the Tintoy Museum, Mr. Teruhisa Kitahara, became one of the judge members from this year. He said passionately "Art is culture and peace. We have to properly evaluate the talent of the young." 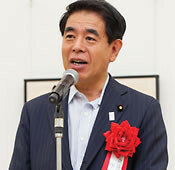 Committee chairman Haruhisa Handa awarded a certificate of merit and a medal to Mr. Naomasa Kobayashi, the prize winner of the International Grand Prix in "Section of Calligraphy" in Japan, and Ms. Kana Ishikawa, the prize winner of the International Grand Prix in "Section of Fine Arts" in Japan. 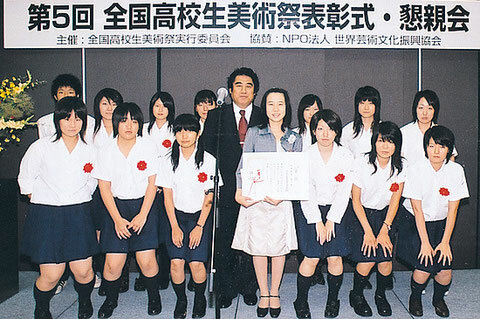 Taking commemorative photographs with high school students who won group awards. 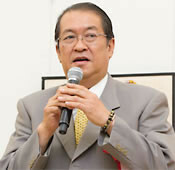 Mr. Haruhisa Handa, organizing committee chairman, made a speech before the high school students from all over the country.